In 1960, David Attenborough visited the island of Madagascar to film one of his first ever wildlife series. He now returns to the island on a very personal quest. In 1960, he visited the island to film one of his first ever wildlife series - Zoo Quest. 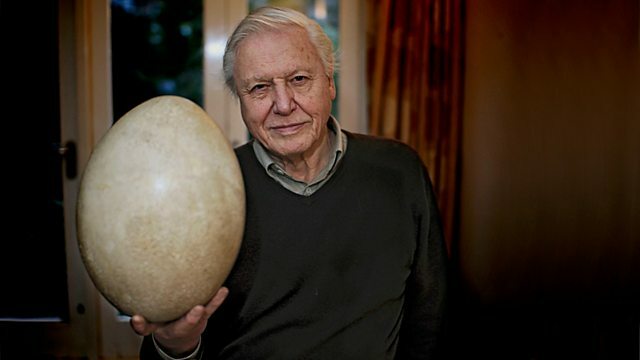 Whilst he was there, he acquired a giant egg belonging to an extinct bird known as the 'elephant bird' - the largest bird that ever lived. It has been one of his most treasured possessions ever since. Fifty years older, he now returns to the island to find out more about this amazing creature and to see how the island has changed. Could the elephant bird's fate provide lessons that may help protect Madagascar's remaining wildlife?